Mark A. Stollwerck, 63, previously of Fair Haven, passed away on April 5, 2019. He was born in Ridgewood to the late Robert and Edna (Vanderbeck) Stollwerck. 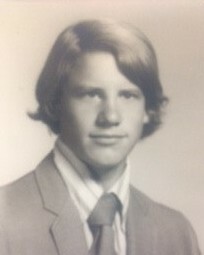 He attended RFH High School, Class of 1973, where he played baseball and was captain of the soccer team. He had a passion for ice hockey which he shared with his brother and best friend Dwight. Mark was a long time mental health patient but never lost his zest for life, his strength and endurance were amazing. He had a strong love of family and his favorite times were getting together with family to celebrate holidays and his birthday. Mark was always up for a party. He was a kind and gentle soul who will always be dearly missed. Visitation will be held at the John E. Day Funeral Home, 85 Riverside Avenue, Red Bank, NJ 07701 on Saturday April 13, 2019 from 9-11 a.m. with a service beginning at 11 a.m. Interment will follow at Fair View Cemetery in Middletown. In lieu of flowers memorial donations may be sent in Mark’s memory to the Arc of Monmouth County, 1158 Wayside Road, Tinton Falls, NJ 07712.